"New Kinds of Smart is an intelligent book about intelligence, the many things that go into it, and how educators can help students to get more of the cornucopia." "This is an important and welcome book. It cuts through the hype about what the latest findings from cognitive neuroscience can, and more important, cannot tell us, and provides a comprehensive overview of what we know about learning." "This immensely readable book explains the developments of learning theory and then applies those developments to classroom practice and takes that next vital step of explaining what that means for a learner." 20th Century schools presumed that students' intelligence was largely fixed. 21st century science says that intelligence is expandable - and in a variety of ways. New Kinds of Smart argues that this shift in the way we think about young minds opens up hitherto unexplored possibilities for education. 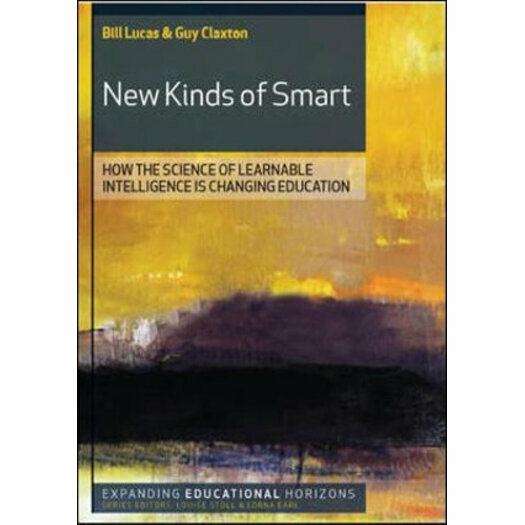 For the first time ever, New Kinds of Smart brings together all the main strands of research about intelligence in one book and explains these new ideas to practising teachers and educators. Each chapter presents practical examples, tools and templates so that each new strand of thinking can be woven into their work as teachers and into their lives as learners.